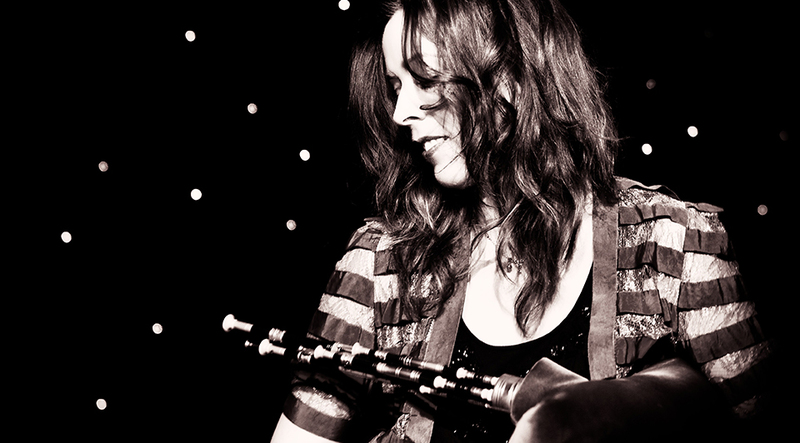 Kathryn Tickell is the foremost exponent of the Northumbrian pipes, a composer, performer, educator and successful recording artist whose work is deeply rooted in the landscape and people of Northumbria. Kathryn and her new band The Darkening has been booked to headline on Sunday night of Ely Folk Festival 2018. This is a new direction for Kathryn – taking the oldest Northumbrian tunes and songs from a global perspective, and working with musicians from Northumberland, Scotland, Ireland and England to bring ancient Northumbria to the modern world. The line-up is Kathryn Tickell on Northumbrian small pipes, fiddle, vocals; Kate Young on vocals, fiddle; Amy Thatcher on accordion, clogs, vocals; Cormac Byrne on percussion; Joe Truswell on drums & Kieran Szifris on mandola, guitar & samples.